Huggins’ organization is using its Foundation Award to support summer programs in five school districts: Houston; Pittsburgh; Providence, Rhode Island; Jacksonville, Florida; and Oakland, California. NSLA’s funds would support more than 7,000 middle school children this summer and next through these districts' summer programs, Huggins said. Huggins told CNN that while traditional summer school is punitive and remedial, the students in the NSLA-supported programs aren't enrolled just for flunking a class or missing a benchmark on a standardized test. The students in these programs voluntarily sign up. The free summer programs do try to seek out students who are struggling, Huggins said. The districts that partner with NSLA will have engaging activities for participants, including physical activities and hands-on projects. Huggins said, "It can't be another two months of school. The kids have to want to be there." According to Huggins, effective summer programs not only stem learning losses, they produce academic gains. 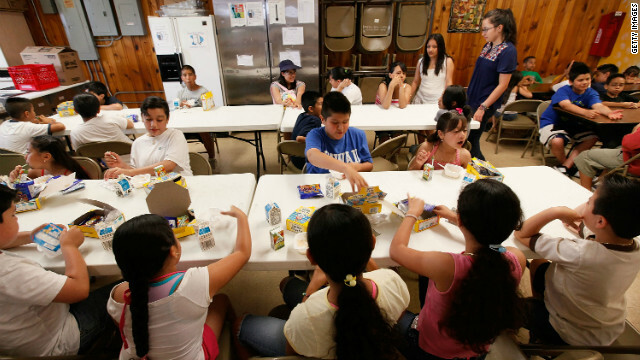 This summer, Y-USA and NRPA will use their Walmart Foundation funds to provide meals to 160,000 children, while Brandeis University will receive $5 million to support 3,000 young people in employment programs in seven American cities from New York to Los Angeles. The summer meals grants are part of a $2 billion pledge Walmart and its foundation made to fight hunger through 2015. I do believe all of the ideas you have introduced in your post. They're really convincing and can definitely work. Nonetheless, the posts are very brief for novices. May you please lengthen them a little from subsequent time? Thanks for the post. It's time to retire the tranditional school calendar and give kids in America an opportunity to compete globally. We are falling further and further behind in the education of our kids... this is going to cost us in the long run!! It's way past time for us to get over whatever fears we have and do everything we can to help our children succeed in the global economy. There are very few programs that focus on learning and advancement/reinforcement of academic skills during summer. Apart from a few businesses like Kumon, Mathnesium and such, there are few free resources/choices for parents to keep up academically during the summer time.